Ex Libris « John Bartram Lives! I have drawn upon the wisdom found in many books for the notes that you find on these pages. It is from standing on the shoulders of giants that I am able to publish such considered opinions and cast a much longer shadow. I acknowledge these many authors and authorities from across the globe and time for all of the help that they have given to me. More information may be obtained by following a few links to their own locations on the web. The Brother Gardeners: Botany, Empire and the Birth of an Obsession. Andrea Wulf http://www.andreawulf.com/andrea-wulf/about-the-brother-gardeners.html One of the best books on the era of plant discovery. So good that I should have written it myself. The Founding Gardeners: How the Revolutionary Generation Founded an American Eden. Andrea Wulf http://www.andreawulf.com/andrea-wulf/founding-gardeners-the-revolutionary-generation-nature-and-the-shaping-of-the-american-nation.html Very local in its habitat and all about the Bartrams of Philadelphia. See which, what and how many of John’s discoveries were used in the estate gardens of our founding fathers. The following is a collection of reading material that I’ve used along the way as I’ve developed and deepened the knowledge of my world through the eyes of other authors. This collection is also a group of books that offer mostly “light” evening’s entertainment. Bartram, John. Observations on the Inhabitants, Climate, Soil, Rivers, Productions, Animals and other matters worth of Notice. London: J. Whiston & B. White, 1751. Bartram, William. Travels through North & South Carolina, Georgia, East and West Florida. Philadelphia, PA: James and Johnson, 1791. Berkeley, Edmund, and Dorothy Smith Berkeley. The Life and Travels of John Bartram: From Lake Ontario to the River St. John. Gainesville, Florida: University Presses of Florida, 1982. Franklin, Benjamin. Poor Richard’s Almanac. Philadelphia, PA: B. Franklin, Printer, 1732-1758. Hoffmann, Nancy E., Ed. and John C. Van Horne, Ed. 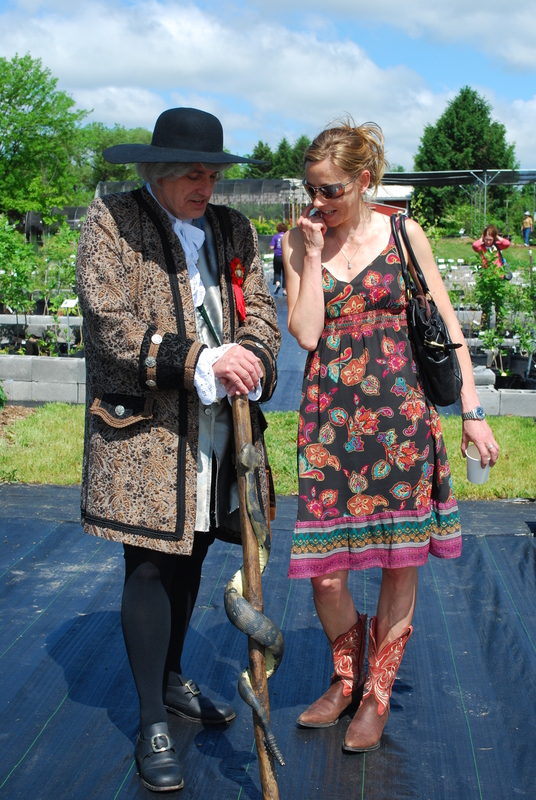 America’s Curious Botanist: A Tercentennial Reappraisal of John Bartram 1699-1777. Philadelphia, PA: American Philosophical Society, 2004. Isaacson, Walter. Benjamin Franklin: An American Life. New York: Simon & Schuster, 2004. Nichols, Ann. The Golden Age of Quaker Botanists. Ambleside, Cumbria: Quaker Tapestry Collection, 2006. O’Neill, Jean, and Elizabeth P. McLean. Peter Collinson and the Eighteenth-Century Natural History Exchange. Philadelphia, PA: American Philosophical Society, 2008. Sanders, Brad. Guide to William Bartram’s Travels: Following the Trail of America’s Fist Great Naturalist. Athens, GA: Fevertree Press, 2002. Slaughter, Thomas P. The Natures of John and William Bartram. New York: Alfred A. Knopf, 1996. Sternberg, Guy, and Jim Wilson. Native Trees for North American Landscapes. Portland, OR: Timber Press, Inc., 2004. Bernstein, R. B. Thomas Jefferson. New York: Oxford University Press, 2003. Franklin, Benjamin. Autobiography of Benjamin Franklin. London: J. Parsons, 1793. Randall, Willard Sterne. George Washington, A Life. New York: Henry Holt and Co, LLC, 1997. Randall, Willard Sterne. Thomas Jefferson, A Life. New York: Henry Holt and Co, LLC, 1993. Hinkley, Daniel J. The Explorer’s Garden: Rare and Unusual Perennials. Hong Kong: Timber Press, Inc., 1999. Meyer, Jeffrey G. America’s Famous and Historic Trees: From George Washington’s Tulip Poplar to Elvis Presley’s Pin Oak. New York: Houghton Mifflin Company, 2001. Schama Simon. Landscape and Memory. New York: Alfred A. Knopf, 1995. Still, Steven. Manual of Herbaceous Ornamental Plants. Champagne, IL: Stipes Publishing, LLC, 1994.